Should You Be Worried about Google’s Latest “Penguin” Update? You probably know about Google’s “Panda” update last year, which created a major shift in which sites ranked well on Google’s search results pages and which didn’t. Now there’s the latest update called “Penguin” (what is it with the cute animal names?) that has the internet buzzing again. Just like with previous updates, some sites have been smacked so hard they’re seeing stars. Others are actually doing better. As you can guess, you’ll hear a lot more noise from those who were bitten by the Penguin than you will from those who were rewarded. So how about your site? Is this something you should be worried about, or need to re-optimize your content for? Today we’re going to talk about why you should not fear the Penguin. And if it did bite you in the backside, we’ll talk about the strategies you can move to so future updates are much less likely to give you headaches. For the most part, Penguin is simply automating work that the Google search quality team was already doing manually. Were you doing something tricky to cloak your keywords, or participating in dodgy link exchanges? Before, Google had a quiet army of employees out scouring the web to look for spammy practices like this. That means search optimization that’s a little too perfect. When 99% of the links to you are using your preferred keyword term as anchor text, for example. The penalty also applies to what’s called keyword stuffing. One important function of our Scribe content optimizer is to let you know if you’ve used your keyword phrase too many times in your content. That’s because “stuffing” your keyword too many times into your content is actually probably more harmful than slightly underusing your term. It’s still fine to include keywords that are related to your term. So if your keyword is contract attorney, you might squash in dozens of references in to contract law, contract lawyer, negotiate contracts, etc. Read your content out loud and see if it will make sense to a human reader. If it’s useful and “sounds right” to a person, it’s unlikely to trigger any red flags with the search engines, today or tomorrow. That’s the key to good SEO copywriting, and it always will be. Updates like Panda and Penguin exist to weed out the bad actors who are using scripts and other practices to make poor-quality content rank better than it should. That means they’re getting rid of the content that ranks purely because it was optimized by a clever SEO — but that isn’t actually useful to human readers. And what does that make room for? It makes room for your content. Written to be useful and shareable for real people in the real world, not robots or scripts. Attracting natural links from real web sites. Serving a real purpose for readers by educating them, informing them, and keeping their attention with good writing. Search engine updates will tend to clear out the clutter and allow your content to find the audience it deserves. Your best defense against Google or Bing/Yahoo updates is to write excellent content, then promote it naturally and without too many automated shortcuts. If you write well, in a way that both people and Google love, you will rank well. And no Google update has ever altered that. How are you holding up in the Update Wars? How about your sites? Have Panda and Penguin been kind, or cruel? We would love to know, so let us know in the comments. And be sure to include your website in the box so we can check it out. Right now I’m still learning about seo and how to write better through websites like here at copyblogger and few others. So I write the best I can in order to get better at it. So I don’t think it will effect my websites to much because I try to spread my keywords throughout the content so that it can be read and understood by humans. I’m getting better but still have a long way to go. When you post new articles on Copyblogger for example, do you publish them on Twitter, Facebook, Google+ and perhaps some more Networks or Social Bookmark sites all by yourself? Or would that be “unnatural” already? Till now I am doing this with my new articles. But I am not sure how to handle it… are own clicks on Twitter- or Google+-buttons “evil” or not? That’s all pretty natural and normal, and shouldn’t give you any trouble. If you had a bunch of “robot” accounts (without actual humans behind them) *retweeting* for you, that would probably be detected eventually, but I don’t think it would actually hurt you yet. Since I have been reading your stuff here at copyblogger I have started a process, slow as it is, to reconstruct my site and content. Though I have learned a lot of good stuff, I know I still have a ways to go before I sleep. I stopped focusing on link-building and all other iffy tactics about a year and a half ago, and have focused almost exclusively on building my email list. Having traffic on tap is the ultimate insurance against losing a traffic source. Link-building is great — if you’re doing it by creating content other sites want to link to. 😉 Buying links is a bad idea, and looks like it was a big factor for many sites that were hurt by Penguin. I’m pleased with these updates! I was never a fan of SEO black hat tactics like keyword cramming and purchasing links that will be completely irrelevant to your website. Definitely — it’s fine and good to optimize your content, if you stay away from shady practices like buying links, cloaking sites, etc. Thanks for the post and I really confused about the penguin update by the google and how that penguin effects the site and how can the web site re-activated if any site get hit by it? Hoping to get the quick answer from you. Thanks again! Ayaz, a couple of quick notes. 1) Always check Google Webmaster Tools for your site. Google’s spam team has gotten a lot better about communicating with site owners. If you think you have been affected, this is the first place to check. In addition, if your site has been hit, the Webmaster Tools application provides a method for you to request a review once you have corrected the issues they cite. 2) We also recommend that you create an account with Bing’s Webmaster Tools. While the Penguin update was specific to Google, don’t forget about Bing as they do change their methods frequently. Been using your service (Scribe SEO) since day 1 so I am not worried at all. In fact I am excited. Google needs to weed out the junky sites and make room for quality sites – like mine of course! You may want to pick up a copy of SEO Copywriting report (free, you can get the link in the right sidebar). That will give some guidelines about the kind of content that helps you rank in search engines. Submitting articles & directories is not likely to do much for you. You need to be producing the kind of content that will attract real links. Also, make sure you are not paying for any links. You hooked me on this post with the Wallace and Grommit “Wrong Trousers” image. I know you must be a mommy! 🙂 My son and I love that one. Myself and my clients were unaffected by Penguin because we are doing what Google wants us to do — creating something valuable that people naturally link to from websites and social media. Legitimate on-site SEO to educate the search engine about the content of the page is used, but nothing tricky. What I like to tell people is “Google works just fine without you understanding how it works.” When you get to thinking too much about how that search engine works you lose site of what’s important — creating engaged relationships with existing clients and prospects — and selling more stuff. I’ll always work on improving my SEO, but more importantly, I’ll work on honing my writing skills and providing quality content that’s of value to readers. I think Panda and Penguin won’t phase bloggers/writers that already provide valuable content without over optimizing it. The people who’ll ‘freak out’ will be the ones who’ve used Black Hat SEO techniques and don’t provide any value to readers. Of course, business owners who’ve hired SEO companies may ‘freak out’ if they find out unsavory SEO techniques have been used. This is why it’s important to know something about SEO so you can ask the ‘right’ questions before hiring a company to build and or optimize your websites. I’m always open to ‘constructive’ feedback… I’ll start with http://www.Savvy-Writer.com and http://www.Savvy Writing Careers.com (Note: This one’s scheduled for a design). Sometimes, DIY takes longer. I have moved three times, each time needing to get back into Google’s good graces for my new locality, and have done so fairly quickly with good old fashioned hard SEO work. No quick fixes, no tricks…just quality, authentic content. I have had many people ask me how I did it so quickly, and I say by just doing what I should be for my audience. I think things like this is good for Google and us. Keeps us on our toes and helps create a more even playing field. Thanks for all the great info! I’ve never done any link building ever. I’ve never stuffed keywords and always risen when there’s been an algorithm change like Panda. But i did suffer with Penguin and not sure why. I’ve never been spinning articles either or ever hired an SEO. I only have 1200 links which are all natural and 600 pages of content i’ve written in 18 months. So why did i lose 75% of my traffic? Brad, from what you’ve said, I don’t think you have a Penguin issue. Something else has happened. You might want request a reconsideration request through Google Webmaster tools. Thanks for the comment Brian. I’ve submitted the reconsideration over 3 weeks ago and will wait and see what happens. Seems really strange that my new posts get indexed really well immediately after publishing and then disappear. Looking better today but still way off what i was getting 5 weeks ago. I’m heading out to an errand for a few hours, but when I get back I’ll take a look at your site and let you know my thoughts. Off the top of my head, I’d say to start working on building some *good* links back to your site, to outweigh those bad ones. Thanks Sonia. I did notice that many of my url’s have now changed in Google Serps after i moved to a new server. They’re now a sub domain i.e wpsites.domain.com/post-url redirecting to my domains urls, but this was after the 24th April. Not sure how Google treats this. If Google has any confusion about the URL of the pages, that’s probably not helping you. Agree that since your traffic started falling before Penguin, something else is probably going on. In a situation like this, I like to look at it as an opportunity to kick things up a notch. So: first and foremost, how’s your networking in the WordPress community? Strengthen those connections and form new ones, especially on Google+. Get people reading your content from social sharing, and search tends to follow. You might also grab a copy of Scribe, because when I look through your content, it actually *feels* a tiny bit “stuffed” to me. You might unconsciously be overusing your keyword phrases. It’s been always about writing good content, and always will be. In the longterm (the way we have to think about our businesses), it will always be far more profitable if we play the game knowing the rules, but without obsessing too much about taking them to the limits. We write (or should) for human beings. There are tons of articles about on-page SEO, but good copywriting can be learnt simply reading good books and good newspapers. The way they use the headlines, the bolds, the titles, etc. That’s the way. I believe good content for your readers is Always best. The end of March I switched my PR4 blogspot to my own WP domain and worried about starting again at 0. After the first month I’m back to PR4 on the new site. Thanks for all the great articles. I learn here all the time. What is the best free tool for finding out how a site was impacted by Google’s zoo? I have several small clients who know nothing about analytics. Love your stuff and am a faithful follower. Just plain old Google Analytics — watch how much traffic you normally get, and monitor to see if you start getting less traffic from search. Terea, in addition to Sonia’s advice, make sure to check Google Webmaster Tools for your site. This is the first place to start your research and should be checked regularly as a matter of good site maintenance. Also don’t forget about Bing, they also have a Webmaster Tools application that may be useful if Microsoft opens up a “zoo” as well. I love the message, and it is true, we should focus to the human beings rather than SEO. Good content will give a good read to the website visitors and be useful to solve their problems. Keep up good work of giving us that useful information. Actually, i was not a victim, and i try my best to go by the guidelines. Thank you for the helpful info. I always enjoy what Copyblogger has to teach. I run a small community news site and worry that our content is inherently keyword-rich, particularly when it comes to the name of our town. My concern is that Penguin will see what we do as keyword cramming. I relaunched our site last July and had hoped we’d rank higher with Google by now, but we’re still below some long-established URLs. We have original content about the community going up daily. Beyond posting articles, we use our email database (all opt-in), facebook and (less frequently) twitter to build traffic. Sites that out-rank us have remained relatively static for years. We hope to build a readership that is only interested in the hyper-local news we offer, so I’m not sure how to avoid using the name of our locale at the top or headline of every post. Does Google have anything to say about how Penguin will help/hurt community news sites? I would just avoid stuffing it into the content to death. Your headlines will naturally have the town name: New Ice Cream Store Arrives in Ourtown, that kind of thing. That should be fine. But don’t put “Ourtown” into the body of the content a million times — your readers already know where they live, so it’s not needed. It can be tough to come out on top of old, established sites, even when they’re now low-quality because they haven’t been maintained. That should theoretically change as the search engines get smarter. (Let’s cross our fingers.) Keep doing what you’re doing, and also try to get at least some folks in your community onto Google+ to share your content (as well as Facebook and Twitter, as appropriate.) The more people who are reading your content (especially if they stick around on your site awhile), the better. Do pick up our free SEO Copywriting report (link’s in the right sidebar) for some additional tips! My traffic continues to track upward, so no ill effects here! Love that! That’s 99% of what we’re seeing from our customers and readers. Thanks, very well written. I’ve been telling our clients for a long while that a priority for their content is to make sure it reads well to a human visitor. No point getting it rank well then being so off putting to their audience that they clear off. I also make the point that Google’s ultimate aim is to try and present the searcher with pages that actually provide information on what they are looking for. The better you can do that naturally, i.e. without trying to be clever, the better your content will work you. I’m kinda in the same boat as Brad Dalton above. February was one of my best traffic months in years and January was great too. But starting in March things started dropping. By the end of March I was very concerned, and then once Penguin kicked in, I could nail down the EXACT time it affected me down to the hour (late in the afternoon on April 24th). I saw traffic drop like a rock within the span of about 2 hours and it’s been 1/4 of what it used to be back in Feb ever since. I used to get over 4,000 uniques a day and now I’m lucky if I get 1,000. 1. Using my 3 most preferred key phrases in links in just about every piece of content I published on the blog portion of the site, which used to help me a lot. But since reading about “over optimization” this might be it, although I didn’t think I used it quite THAT much. 2. The blog portion of the site is not the main part. For the main part I am using static WordPress pages that are formatted in such a way that all top navigation is removed so I can focus the reader on only what is written on the page. The main page is formatted in the traditional long column sales format, which worked well for many years but it now seems Google hates… but could they hate it enough to penalize my rankings back in March or with Penguin? I don’t know. That’s all I can think of. I had been doing fine for years and traffic was growing steadily and then all of a sudden this happens. Since you didn’t include your site and we can’t take a look, my only suggestion is, find a friend (one of those brutally honest ones) and ask them to tell you the truth. Ask them to tell you if the site is ugly. Ask them to tell you if the content looks spammy. Ask them if the content seems actually valuable and helpful to someone interested in your topic, or if it just looks like one giant ad. When you say “traditional long column sales format,” I’m not sure what you mean, and I’m not sure why you think Google hates it. One culprit may be if it tends to make too many readers bounce instantly off the page. Most of our landing pages have the navigation removed and our search results for them remains excellent. I hate to say it, but sometimes we can kid ourselves. http://www.virtual-cc.com was hit by the penguin after a big redesign, no keyword stuffing was done in purpose. Another thing I suspect was that I bought a cheap directory submission service 2 years ago, and since Google is getting more and more automated I may have been hit by more than one animal, who knows, Google always surprises me! I have found the changes to be virtually unnoticed from a designers/writers standpoint, as one should always write for the reader first and foremost. Our traffic keeps rising on our very new service site. Great post, by the way. A pleasant and informative read. I have seen my google traffic go up about 25% lately. This is hardly surprising, since my SEO strategies have been concentrating on social media work and careful use of keywords without over-use. As I tell everyone, “Write for humans, optimize for SEO”. Google is making great strides toward identifying genuinely good, useful content – and those of us who have concentrated on that are seeing the benefit. I’d gladly talk to anyone who wants to chat about what this means as erikhare@gmail.com – it’s far too simple to put into an eBook or anything that actually makes money, but a bit too long to get into here. My traffic hasn’t change all that much. I just keep plugging away (writing my own content) and try not to get too work up about Google. I didn’t notice any impact at all from Panda. The updating of Google’s Penguin makes me think we should learn more about Google to know what they are doing. Thanks for your post on Google Penguin update. Now I’m feeling better with this update. To be honest I gave up on getting traffic from Google after the Panda update. Even if you do things by the rules, you can still get slapped. In fact I’d say it one of the best things I’ve done as it’s forced me to get traffic from other sources and these sources are far less volatile and I get more traffic as a result. Google is just bonus traffic now… But then again… I guess that’s what they wanted in the first place. Once again a brilliant and informative post. I’m currently trying to move my site up the google rankings and it seems to be working (albeit slowly). I recognise that if I write good stuff, regularly I’m likely todo better than if I don’t but there’s always that temptation to try and “buck the system” with bulk back links or a product like unique article wizard. Franky, I’m a bit disappointed that just as I’m starting to get some traction Google go and move the goalposts…again. So how long do you think it will be until we see the results settle down after this latest change…and how long until we’ll know if we’re doing it right or wrong? Many thanks for sharing your expertise. Another informative and interesting post, thanks so much. We’ve always seen quality content as the most important thing, so fingers crossed websites that do will start to see some reward from Penguin. It’s easy to see what Google is getting at but the do seem to like making life difficult! Hopefully those that cheated the system before will make way for those of us that play by the rules. 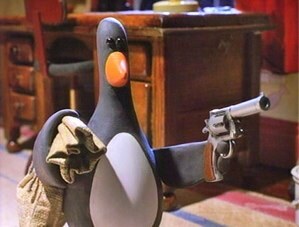 In my opinion, Penguin was the next logical step after Panda. Panda went after low-quality and spammy content, Penguin targeted low-quality and spammy links. To me, this means that Google is cracking down more and more on black hat and grey hat SEO tactics. Things that used to slide by aren’t going to work for much longer. I’m not to worried about the whole issue. Quality should come first and the majority of the Penguin writs-slaps will affects sites that over-optimize or act as link farms. The ‘regular’ blogger won’t not really notice anything about penguin. Google Panda and Google Penguin are the algorithms by Google that started with good intention of bringing the better sites ahead of the duplicate and low grade sites. But then some good sites have also been affected by these updates. So its better to take precautionary steps and build your blog. Following black hat SEO might not turn good for you blog in the long run.So if you have built your blog following the rules, you need not worry about the PENGUIN updates. I hope Sonia will agree with me.!! Really the meat of Penguin has to do with your link profile. You can be totally “white hat” and still take a MASSIVE HIT! In fact my site is down 80%. Well after some research i find that I interlined al my sites together a few years ago. I’m not worried with the updates at all. I actually like that Google is trying to improve the way the search engine works. SEO is important but I’ve always seen quality and compelling content as the most important thing for us to focus on. All I can say is that I am so glad I read copyblogger. You are so right about not having anything to fear from Google. One of my blogs literally skyrocketed in traffic post panda and I am confident that penguin will be the same. May good writing triumph over evil. Our traffic grew through 24th April and then since then has fallen by c.10% drop in the last month – after months of steady climbing. Proportionately google doesn’t seem to be down and all our main keywords are still in position. However, then this last week traffic has fallen by 25%, with google falling more than proportionately (29%) – we have also steered cleared of any link-building exercises and I am hoping it is just the wonderful hot weather that has had an impact! Anyone else seen a big fall-off in the last week potentially due to the good weather? If you have quality content, good inbound links and you were still hit by panda and have seen a drop in traffic, then you need to take a look at bounce rates on a page by page basis. Next would be duplicate content within the site. Search strings cause a lot of duplicate content. Hint: Your internal link structure could be causing your high bounce rate. If you take a hard look at just copyblogger, they have great internal linking and custom menu’s for their content. They control the visitor flow and this is why content farms were hit. Single articles with poor navigation and content which causes low time on the site and a lot of bad bounces because there is nowhere else to go that makes sense. What is the first thing you do when you land on a bad site? Hit the back button! What do you do when you read a great article and there is nothing else interesting and related on the page you landed on? You hit the back button. I have brought more sites out of Panda with these two tips than any other factors. In my case in the latest penguin update, One of the my blog got well benefit but I lost badly for my other one. Thanks for this great post.